This is definitely not a breakfast smoothie. The only difference between it and a milkshake is ice cream. 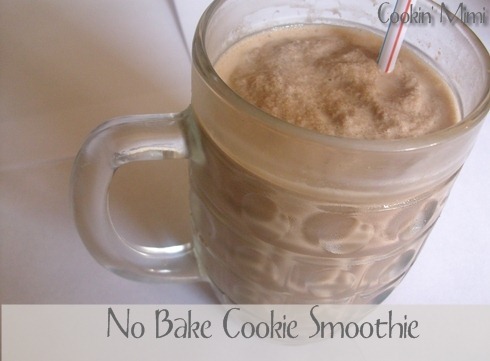 This has all the flavors of no bake cookies in a drink form: peanut butter, chocolate, and oatmeal. Yes, I even put oatmeal in here to offset some of the sugar from the chocolate syrup. Combine ingredients in order given in a blender jar. Blend until smooth. Adjust sweetness by adding extra chocolate syrup if desired. Makes around 16 ounces. What an interesting recipe. Love the addition of oatmeal! This is a must try! Thansk for sharing!